HABITAT TORCELLO INSTAMEET 2015 Discovering the wonders of Torcello Island with Flamingo Art Media: a guided tour in a fairy place lost inside the Venetian Laguna, among nature, great history, amazing pink flamingos and Hemingway books. A new concept aimed at preserving, promoting and valorizing the natural and artistic heritage of Torcello, in cooperation with Venezia da Vivere, Instagrammers Venezia and other Partners involved. 1) Villa Baslini. The Villa, an ancient complex erected before 1000 AC, rises on San Giovanni Evangelista Island, connected to Torcello by a small bridge. Here the spoils of Santa Barbara were preserved. The house, a small gothic palace, was originally a nun monastery's guesthouse and then it became an anglers and farmers house, restored in the 50's. Nowadays it is a peaceful oasis with vineyards and pools, looking at 360° on the Laguna. 2) Torcello square and Locanda Cipriani. At the end of the Fondamenta leading to the square you find the Locanda Cipriani, which became famous all over the world because of Ernest Hemingway’s overnight stay. www.locandacipriani.com. Entering the square you can see the Basilica dedicated to Santa Maria Assunta, one of the oldest venetian-byzantine building of the Laguna. Next to the Basilica there is the Church of Santa Fosca (XI cent. ), surrounded by a five side arcade, with a Greek cross layout. The amazing monumental complex overlooks the V century massif Attila's Throne, the king of Unni. 3) The Antiques Garden and the Venissa vineyard. In the Laguna the vineyard planting has ancient origins: in particular the Dorona is an antique and great wine variety, almost extinct around the world but saved in Torcello, inside the walled vineyard of Tenuta Venissa, based in Mazzorbo-Burano. 6) Basilica di Santa Maria Assunta and view from its Bell-Tower. The Basilica is the oldest building of the Laguna, founded in 639 AC; it represents a spectacular example of venetian-byzantine style. Restored several times during the centuries, its arcade, front decoration, byzantine mosaics and internal polychrome marbles remained intact. Near the Basilica rises the imposing bell-tower from the top of which you can see the amazing view of the entire Laguna. 7) Andrich’s Home-Museum. The vitality of Venetian art of the 50' to the 80' of last century are collected in the house of the artists Clementina and Lucio Andrich: silks, tapestries, glasses, sculptures, paints and engravings are exposed and presented by their grandchild Paolo Andrich. On the small hill inside his garden, guests can admire the amazing Palude della Rosa and enjoy a stunning sunset aperitive. The walking event HABITAT Instameet 2015 will take place on September 23rd in Torcello – Venezia. Meeting point at ore 10.00 AM at Fondamenta Nove fermata linea 12 ACTV. Departure at 10.10am – Arrival at Torcello at 10.51am. 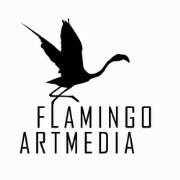 Flamingo Art Media is a Communication and Cultural Association based in Venice which promotes Media Productions and Art Events related to the cultural heritage of the Venetian Laguna. Flamingo Art Media is now developing Habitat #Torcello, a documentary focused on the safeguard, valorization and promotion of a pretty little island called Torcello, a project created by three young Venetian producers Andrea Baesso, Christian Palazzo, Gianmaria Spavento. Could you ever imagine living in a small island surrounded by the Laguna, archeological sites, pink flamingos and Hemingway books? Let the ten inhabitants of Torcello guide you into their daily life. Forget what the modern era can provide. Here you cannot find ATMs, stores, medical facilities and stuff like that. They had to get acquainted at having no social services, and at working and cohabiting with the tourist crowds coming to visit the artistic island masterpieces of Santa Maria Assunta Basilica, Santa Fosca church, Attila’s throne, and the breath-taking landscape you can admire from the bell tower. Torcello is a sort of magical and mystical place where you can discover the origins of the Serenissima, as the scientific supervisors of the Ca' Foscari University of Venice have recently unfold. The producers have chosen the movie-documentary form with the aim of interlacing the millenary history of the island, the story of its inhabitants and the poetical and magic aspects of this reality: colours, scents, sounds, lights and shadows in the changing of seasons. Coldiretti, Public Authorities and Private Partners have supported the documentary release, expected on January 2016, while important professionals of the media trade sector and other associations have offered their collaboration. Habitat #Torcello was mentioned in several pubblications: Il Gazzettino, La Nuova Venezia, Il Mattino di Padova, Detourism Città di Venezia, Venezia da Vivere.